The word ‘epic’ is often overused these days, but I can think of no more fitting adjective to describe Sophie and Charley’s Wedding in Normandy France, Caudebec en Caux. Sophie and Charley (along with their amazing family and friends) are some of the nicest people we’ve had the pleasure of meeting and their wedding was extraordinary from start to finish. With a garden party in Sophie’s grandparents’ French Chateau the night before the wedding, a beautifully set outdoor ceremony by the river and a memorable reception under the beautiful thatched roof of a traditional rustic stone-walled barn, not to mention the amazing couple themselves it’s safe to say we had a great few days of filming! Our wedding couple have set out to follow their dreams and together they’re going to do amazing things. You can find out a little about Sophie’s travels and adventures as well as set her new extraordinary challenges on her fantastic blog: www.challengesophie.com. Sophie and Charley thank you both so much for taking us over to France for such an incredible few days. Wedding in Normandy France, Caudebec en Caux. Click here for more information on www.yorkplacefilms.co.uk. 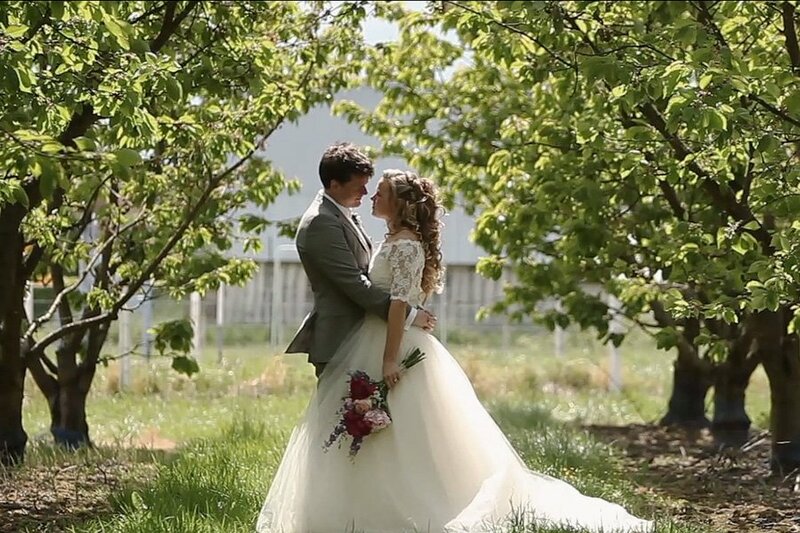 France wedding videographers, Alex Shaw and Matt Thompson creative and artistic approach to videography results in stunning and imaginative videos, passionately crafted to meet your bespoke video needs. York Place Films is growing a reputation for producing some of the best in UK cinematography and travel across their home county of Yorkshire, the UK and abroad to film your video. Whatever the project they can’t wait to tell your story to the world. Beautiful couple, great crowd. Your timing on some of the more poignant moments is brilliant.